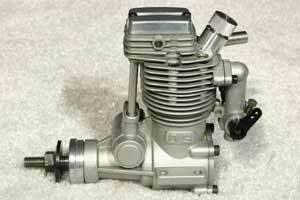 This website accounts some of my work related to model airplane engines and hobby machining. I modify or convert off the shelf engines for diesel (compression ignition), spark ignition, or other special applications. Some time in 2005 I found new interest in model diesel engines after flying only electric model aircraft since 1997 or so. Before that I learned to fly models with diesel powered aircraft. I was dissappointed to learn that since my introduction to model diesels, not much had changed. A little before this I equipped my hobby shop with a metal cutting lathe and mill. I found some discussion about four stroke diesels on the web, which ignited what I present here. What can't be bought, can be made. I have basic information and videos about the engines and projects on the site. My blog contains website updates and other photos from events. March 13, 2016 - Project Emco Compact 6 CNC progress update. August 10, 2015 - Project OS FS-120SII Gas Glow Conversion machining completed. June 2, 2015 - Project FS-40 Big Bore tested with a new intake and carbs.